Our 4K HDR Processor X1â„¢ Extreme includes powerful real-time image processing for ultra detailed pictures. Images are upscaled closer to true 4K HDR quality. Enjoy beautiful night shots, full of dazzling lights and deeper blacks. 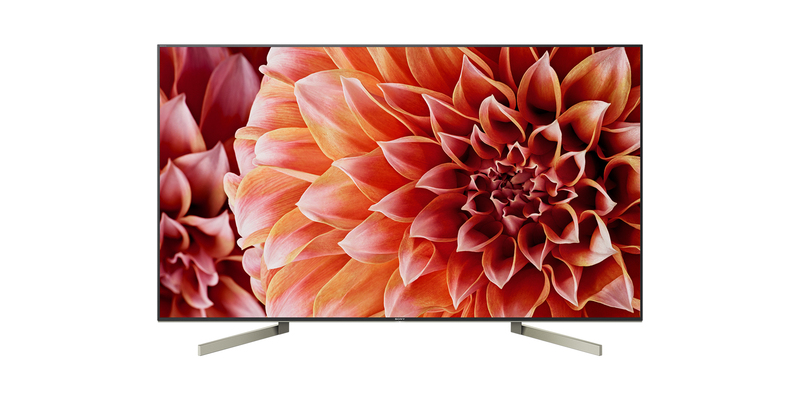 With up to six times4 the contrast of conventional LED TVs, this 4K HDR TV with X-tended Dynamic Rangeâ„¢ PRO ensures dark scenes are darker and bright scenes brighter. Our X-Motion Clarityâ„¢ technology keeps fast action smooth and clear. Moving images are precisely controlled to minimise blur. Even during high speed scenes, pictures stay true with no loss in brightness. See vivid real world colours all around you. A TRILUMINOS Display maps colours from a wider palette, faithfully reproducing every shade and hue in the umbrella. Sonyâ€™s 4K HDR televisions are perfect partners for PlayStationÂ®4 and PlayStationÂ®4 Pro consoles. Immerse yourself in a responsive, fun-filled gaming experience with vivid textures and intensely vibrant colours. Pair your TV with this Sound Bar and enjoy cinematic thrills at home. Dolby Visionâ„¢ brings scenes vividly to life for an authentic viewing experience, while Dolby Atmosâ„¢ fills the room with immersive surround sound. Find all the entertainment you can dream of, as fast as you can talk. With advanced voice control, this 4K HDR TV with Android TVâ„¢ brings you movies and TV shows from apps or broadcast in an instant.